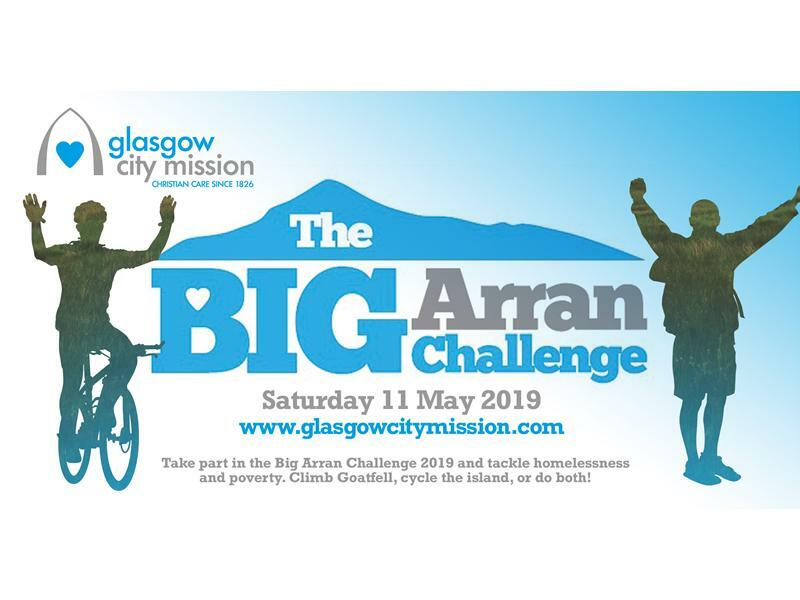 Take part in Glasgow City Mission's Big Arran Challenge - enjoy an active day in stunning surroundings and raise money to tackle homelessness at the same time. Choose from our cycling options, climb Goatfell, or if you're brave, do both! All the money you raise will be used to provide practical support such as food, company and skills development to people affected by homelessness and poverty in Glasgow. A registration fee of £35 is payable for each event. You will get ferry tickets, a t shirt, refreshments, shwoers and back-up support on the route. While we take every opportunity to ensure the details for Glasgow City Mission Big Arran Challenge are accurate, we always advise that you contact the event organiser before setting out for the event to avoid disapointment.